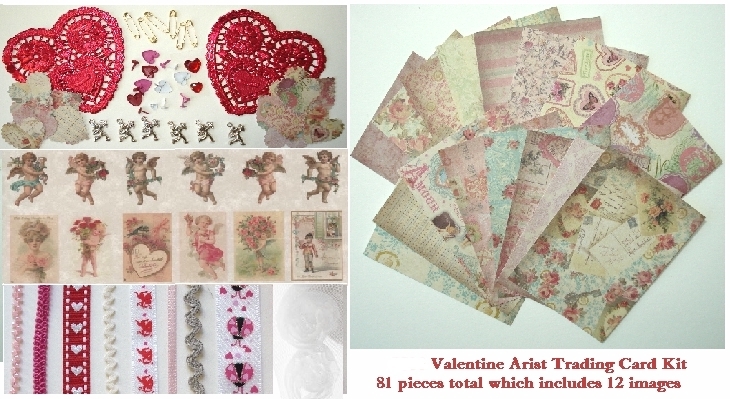 Artist Trading Card Kit - Large Vintage Valentine Kit. This kit has enough to complete 16 Valentine ATCs. Here is a list of what will be included in this kit: There are 16 different 2 1/2 in. x 3 1/2 in. Vintage Amour miniature design ATCs, 12 Valentine images that have been professionally printed on ivory parchment paper, 2 foil doily hearts that you can cut and use on your ATCs. 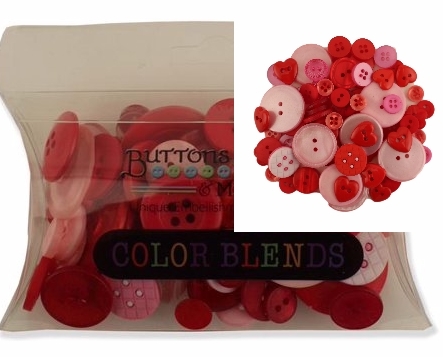 There is also 6 large and 9 small heart shaped metal brads in red, white and pink, 16 different scalloped hearts punched from the same paper as the 16 Vintage Amour ATCs, 6 mini gold safety pins, and 6 silver cupid charms. There is also 9 different 12 inch pieces of ribbon (rick rack, pink beaded ribbon, rose flowers on tulle, glittered, etc.) and 2 red heart gem stickers. 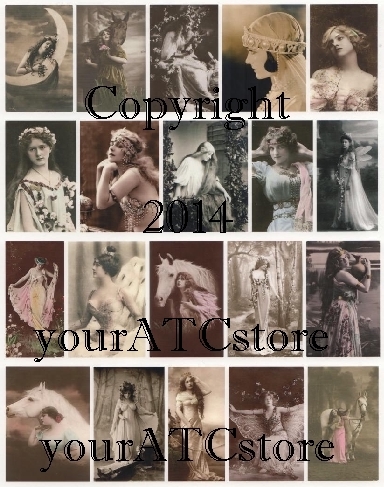 Lastly, you will receive 16 ATC sleeves (Not pictured in photo). This is a great kit for just $14.42! That's less than $1.00 for each ATC. When they are gone, they are gone!